The conflict between assimilationism and radicalism that has riven gay culture since Stonewall became highly visible in the 1990s with the emergence and challenge of queer theory and politics. The conflict predates Stonewall, however—indeed, Jonathan Dollimore describes it as "one of the most fundamental antagonisms within sexual dissidence over the past century." By focusing on fiction by Edmund White, Andrew Holleran, David Leavitt, Michael Cunningham, Alan Hollinghurst, Dennis Cooper, Adam Mars-Jones and others, Brookes argues that gay fiction is torn between assimilative and radical impulses. He posits the existence of two distinct strands of gay fiction, but also aims to show the conflict as an internal one, a struggle in which opposing impulses are at work within individual texts. 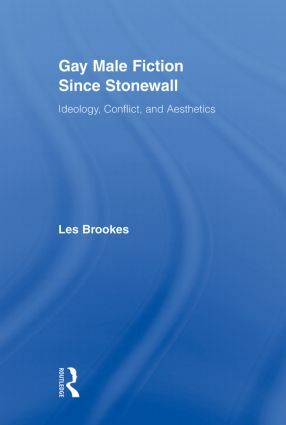 This book places post-Stonewall gay fiction in context by linking it to theoretical and historical developments since the late nineteenth century, and tracing the conflict back to the fiction of Wilde, Forster, Genet, Vidal, Burroughs and Isherwood. Other relevant topics discussed include gay fiction of the 1970s; gays and the family; sexual transgression; gay fiction and the AIDS epidemic. “The Potency, Magnetism, and Promise of Gay Self-Disclosure”: Paradise Found? The AIDS Epidemic: Victory to a Virus?